Google's proposed new operating system, Fuchsia OS, will reportedly support Android applications, according to a new file posted on Android's open source project website. The memo, spotted by 9to5Google, suggests that Fuchsia will use a special version of Android Runtime to enable Android apps, which means that users won't have to ditch the apps they've come to rely on when the update finally arrives. When that will be is still unclear however; right now, the suggestion is that Fuchsia will begin running on smart home devices in the next three years, with a full public release arriving within the next five. Even so, rumors are thin on the ground, and the reality is that we just don't know when the new operating system will be launched. 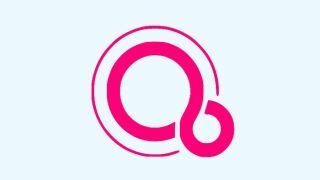 Fuchsia OS is rumored to be an Android-meets-Chrome, multi-device operating system. Still in development, it looks like it's going to be a 'hybrid' OS, which means the operating system will be made up of two distinct but connected user interfaces. To put it simply, Fuchsia OS looks to be Google's way of unifying Chrome and Android into a single, more efficient operating system – but when it will finally become available to the public remains to be seen.